Happy Monday! 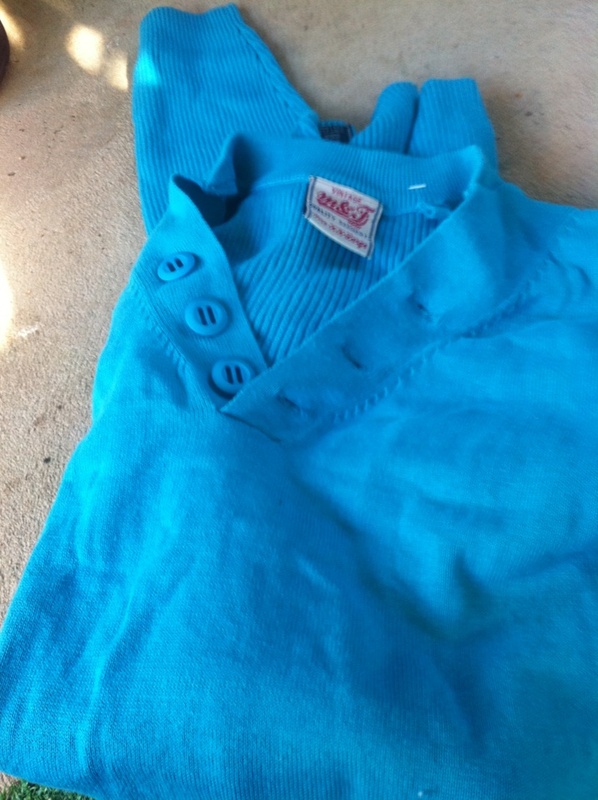 Last week we had posted a vintage turquoise jumper/sweater. This also covers our # 8 and #9 for the Pinteresting challenge – Pin It and Do It Challenge. 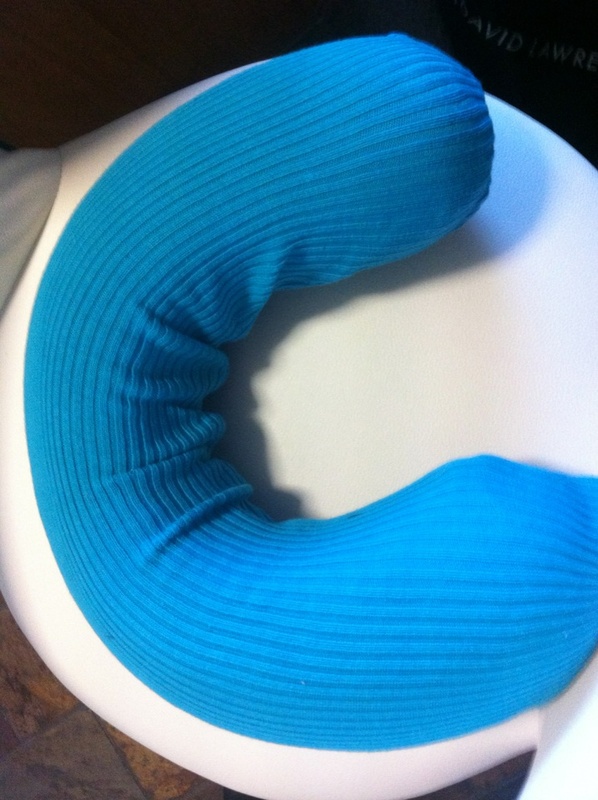 For Pinteresting challenge #8 – neck cushion restyle – we were inspired by this pin and here’s our end result – so cozy! 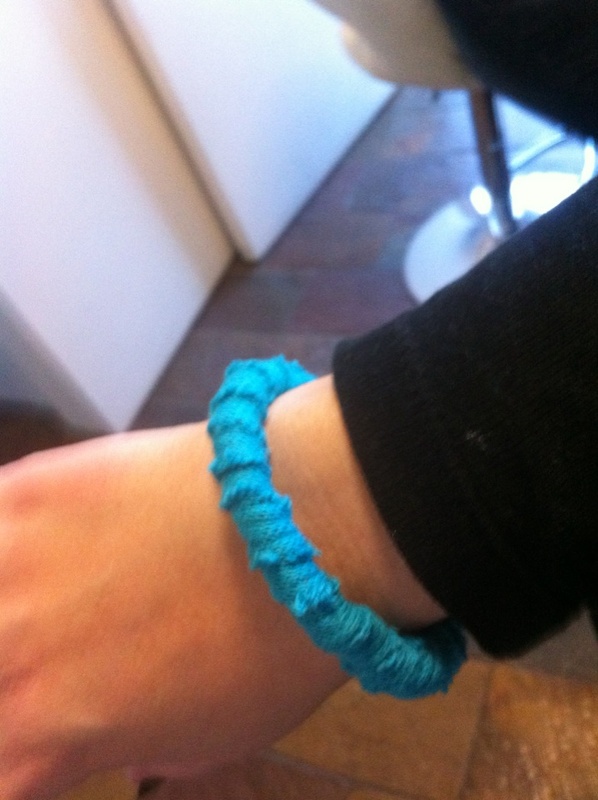 For Pinteresting challenge #9 – sweater bracelet restyle – we were inspired by this pin and here’s our end result – it’s just too cute! We did a few but only pictured one of them. Now it’s time for a new inspiration. 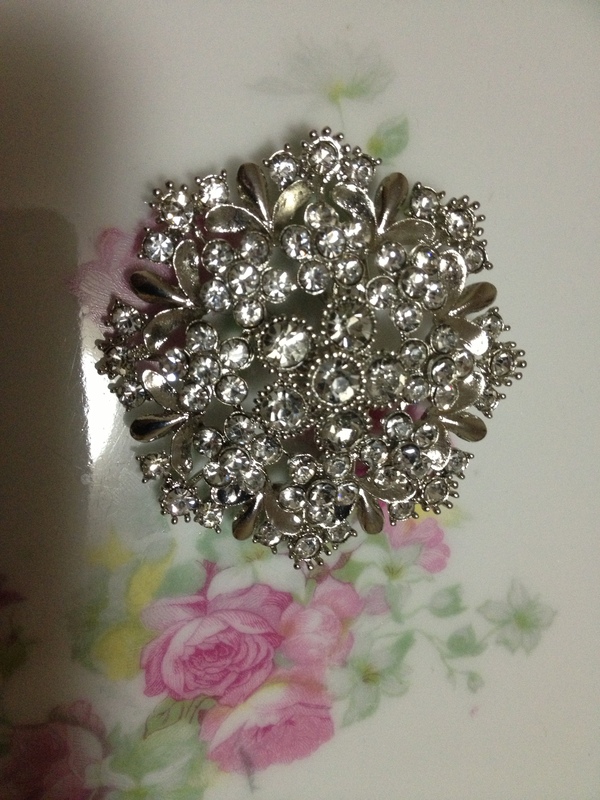 This week it’s the pin from Amour’s wedding bouquet.. You just gotta love the bling and we want to see it used again in a new way.